What is on the five-year horizon for K-12 schools worldwide? Which trends and technologies will drive educational change? What are the challenges that we consider as solvable or difficult to overcome, and how can we strategize effective solutions? These questions and similar inquiries regarding technology adoption and transforming teaching and learning steered the collaborative research and discussions of a body of 55 experts to produce the NMC/CoSN Horizon Report: 2016 K-12 Edition, made possible by Share Fair Nation under a grant from the Morgridge Family Foundation. This publication charts the five-year horizon for the impact of emerging technologies in school communities across the globe. Adams Becker, S., Freeman, A., Giesinger Hall, C., Cummins, M. & Yuhnke, B. (2016). 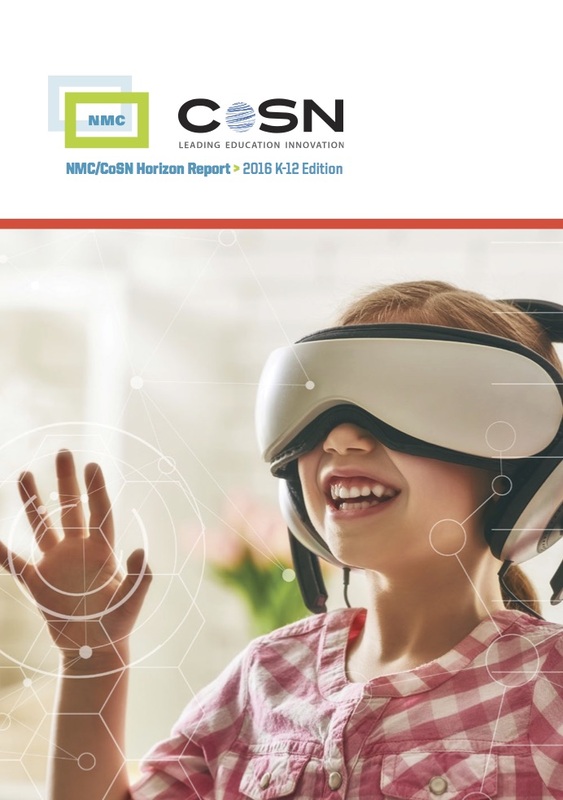 NMC/CoSN Horizon Report: 2016 K-12 Edition . Austin, Texas: The New Media Consortium. Retrieved April 21, 2019 from https://www.learntechlib.org/p/173568/.